By continuing to use this website you agree to our cookies policy. 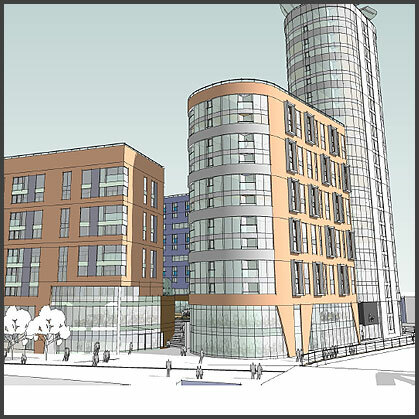 The £130 million scheme when completed will incorporate a 23 storey residential tower comprising 95 apartments and a penthouse, with views over the River Hull. It will form the largest occupiable structure in the East Riding. 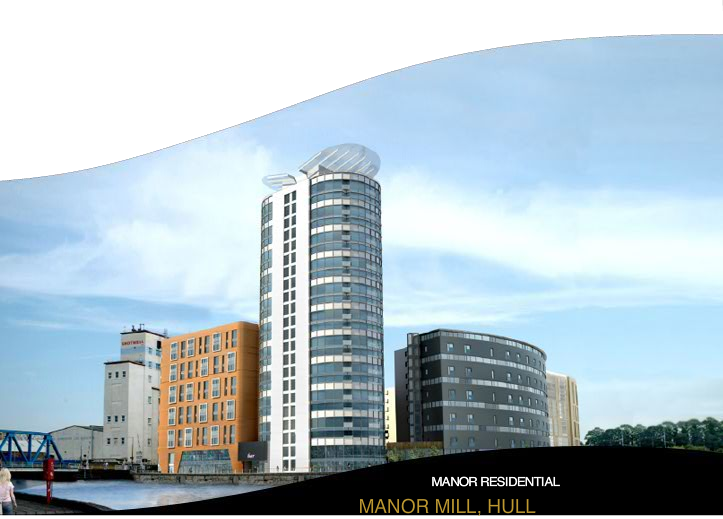 Manor Mill will also offer high quality student accommodation with tailor made living space for 670 students with their own secure communal space and specialist facilities. The mixed use development also includes a four star hotel with 168 bedrooms, ‘super casino’, public plaza with four restaurants, sports bar, convenience store and 325 car parking spaces. It promises to be one of the most exciting developments in Hull city centre for many years.